marxy's musing on technology: Digital QST - does anyone like this reader? I recently re-joined the ARRL so that I can get QST magazine. These days I prefer to read books on tablets or a Kindle. I was hoping that in the years since I last subscribed it might have improved but alas it's as bad as before. Judging by the "Digital QST FAQ" I'm not alone in having a bad experience. Why is QST in digital format instead of PDF format? "Research has shown that those who read magazines on electronic devices prefer this type of format. The digital format also allows us to use multimedia content and other features that are not available with "raw" PDF files. In addition, the Nxtbook digital format allows us to use digital rights management so that the digital edition of QST cannot be viewed or downloaded unless you are an ARRL member." Really ARRL? What research is this? My QST app is slow and/or crashes. What can I do? "We are sorry to hear that you are experiencing crashing and download problems. For best performance, shut down any other apps running in the background, force quit the app, then re-open it, or turn your device off and then turn it back on. Finally, you can try deleting and re-installing the app." Hmm, or fix the app. I suspect that the reason the ARRL has gone with the horrible nxtbook technology is that it appeared to offer some sort of DRM (digital rights management). Aside from a tiny bit of security through obscurity, this is certainly not the case at the moment. I'll refrain from revealing the details but it seems that after a bit of logging in and reading JSON, pages of the magazine are downloaded by the app as simple JPEG image files with guessable urls like this. Click and you'll find that the image urls are not protected at all. Others, like MikeW have proposed schemes to print to pdf from the app, but that is not a good solution (but again illustrates that the ARRL are being ripped off if they think they are buying DRM). First, what I don't want... tablet screens are mostly too small to show a full printed page with three or more columns of text. Zooming in and out is painful. Don't give me an image or even a PDF of the printed magazine. The native reading experience on iOS iBooks, Android's reader and the Kindle reader are all excellent. They each have DRM that pretty much works. I recommend selling QST (and that goes for you too WIA Amateur Radio Magazine), through each platform's native publication system. Arrange the content as a stream of single column text (with images) and give up the page layout. This means that users can choose how they view, can increase or decrease the font size and pay you for your good work. Here here. The DRM encumbered system they've been 'sold' is terrible. 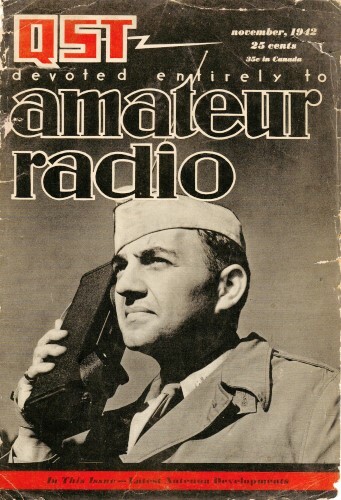 Remember, first and foremost, the ARRL makes most of their money on publishing, so they are going to protect that painfully to the end. Their e-publishing version of QST is one of the most infuriating ways to read the magazine that I have ever tried. The way that DRM ( Digitally Restricting Media) intruded on my iPad was excruciating, and was one of the reasons I decided to quit being a member after being one for so many years. For a while, the electronic versions were even more expensive than the paper versions. I will not pay more for something just because it has a searchable index. Besides, there is something nice about being able to read a real book by candlelight when the power is out!